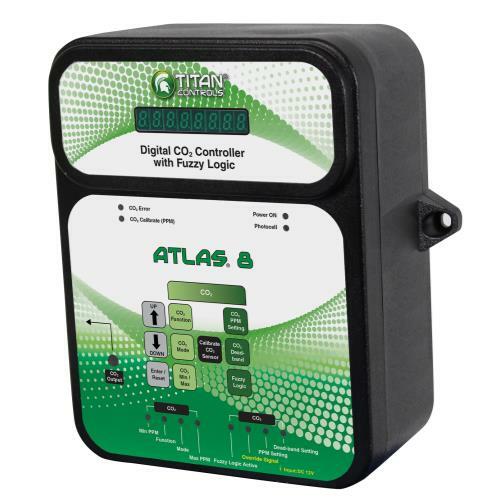 The Atlas® 8 is a digital CO2 monitor and controller. 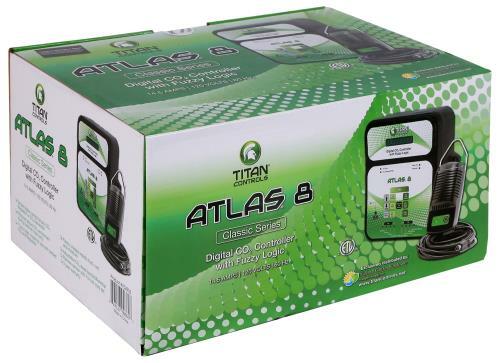 Once the CO2 level has reached your desired set point it will disable the CO2 device. 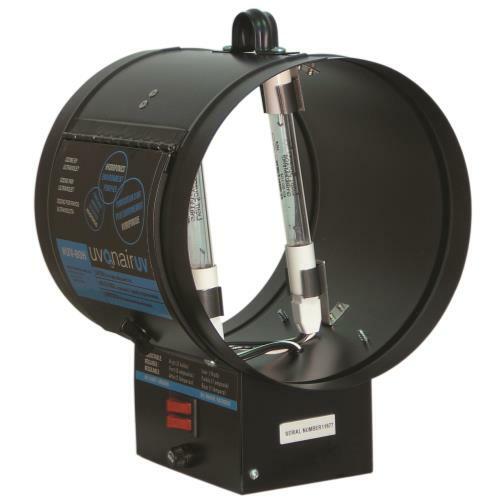 It features a photocell to ensure daytime only dosing of CO2 via a generator or regulator. 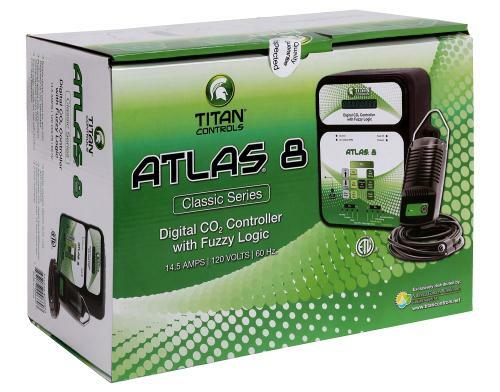 This controller comes with a 15 ft remote sensor that houses the photocell and CO2 sniffer. Besides having traditional injection capabilities, it also features fuzzy logic programming. 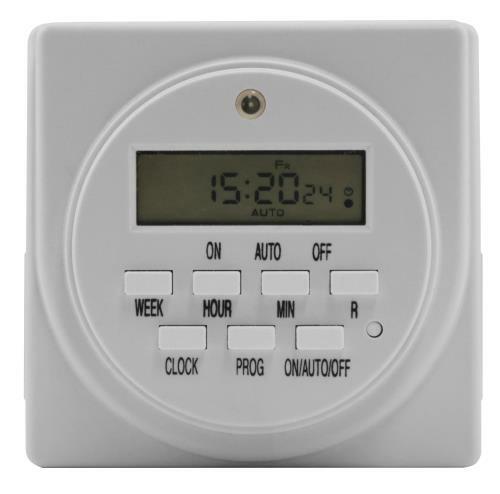 Fuzzy logic applies constant calculations to the output controlling your CO2 regulator to ensure that you do not undershoot or over shoot your predetermined set point. The CO2 min/max can also be viewed on the LCD. 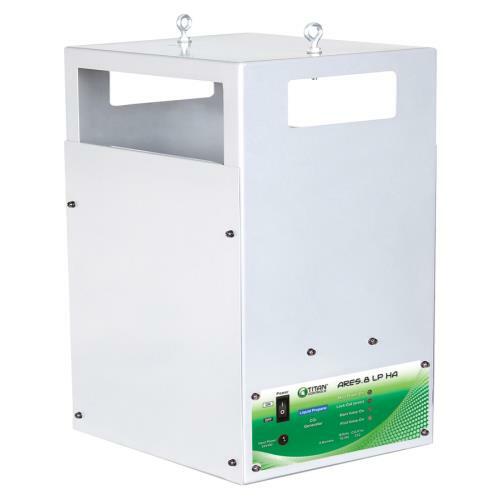 Plastic enclosure resists dust, rust and moisture. 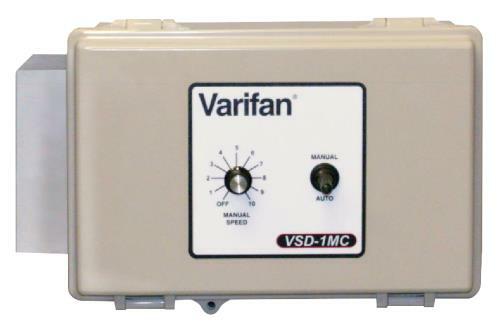 15 Amps maximum/120 Volts/60 Hz.